We execute with expertise: from design to product. 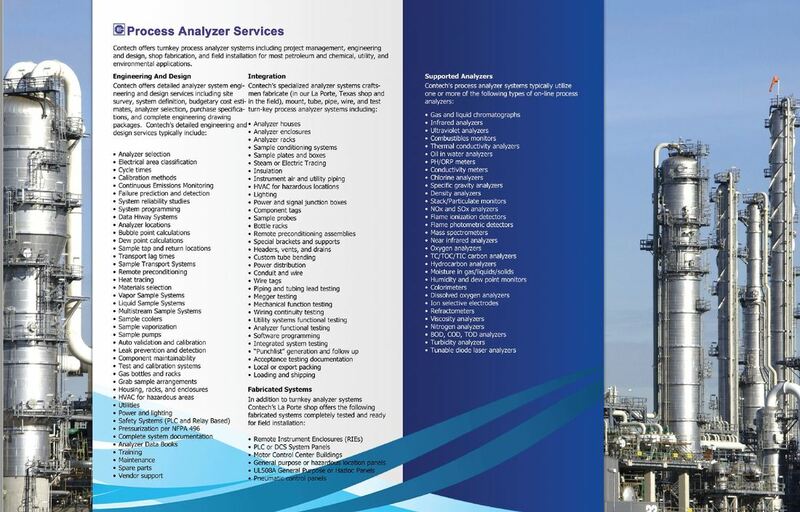 Contech has expertise in fabricating analyzer shelters, PLC/DCS/SIS system panels, control panels for general purpose or hazardous locations, F&G and ESD systems, as well as RIEs, MCC buildings, marshalling racks, pneumatic panels and junction boxes. 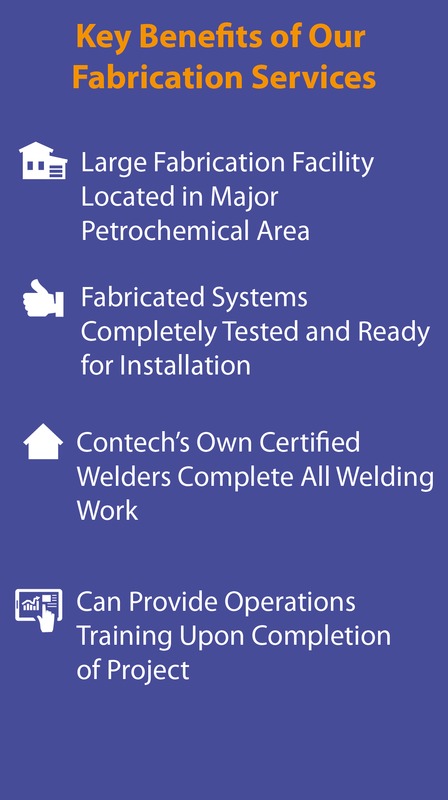 All welding during the fabrication process is executed by our own, certified welders. Additionally, we have a dedicated Simulation and Staging room, which is used for conducting Factory Acceptance Testing (FAT). We can also provide operations training for up to eighteen people, with individual work stations.